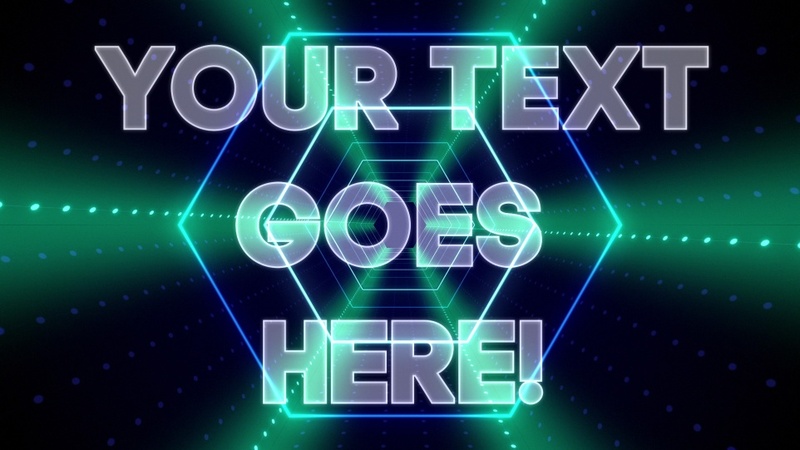 A burst of light appears in the distance and your text comes flying down a hexagon-shaped tunnel pulsating with neon light effects. Perfect for DJ and nightclub name animations. The font used in this design is Code Pro Bold. If you would like to use this in your own designs, it is available here.